The proposed 12-month extension would cost billions of pounds in EU fees and leave Britain under European rules for almost six years after the referendum result. The prime minister tells the BBC the extension would only be a “matter of months” and insists she hopes it won’t be needed. 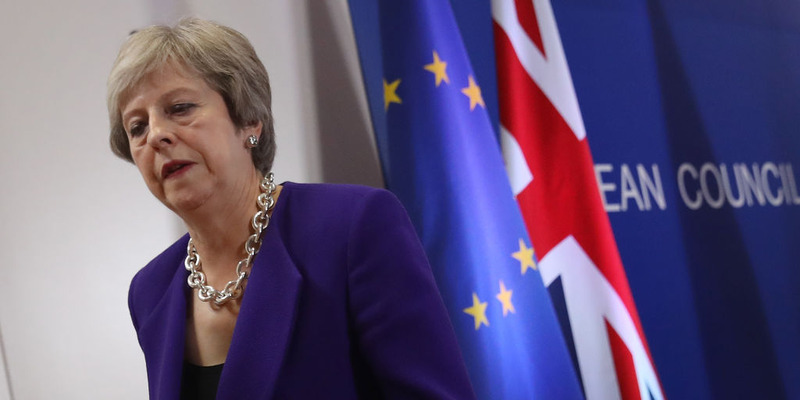 BRUSSELS, BELGIUM – Theresa May has suffered a major backlash from all wings of her party after telling EU leaders she is willing to extend the Brexit transition period in an attempt to unlock negotiations. Speaking at a press conference in Brussels on Thursday, May said that it may be necessary to lengthen the transition period by a “matter of months” in order to prevent a hard border with Ireland. The concession means Britain may not fully leave the auspices of the EU until close to six years after the referendum was held. “What has now emerged is the idea that an option to extend the implementation period could be a further solution to this issue of the backstop in Northern Ireland,” May said. However, she insisted that she was not immediately calling for the extension to yet be put in place. The idea was welcomed as a “good idea” by EU leaders. “This prolongation of the transition period probably will happen and is a good idea,” European Commission President Jean-Claude Juncker told reporters. Any extension to the transition would lengthen the time available to agree a future trade deal with the EU as well as give more time to prevent a hard border with Northern Ireland. However, it would come at both a political and financial cost of up to £10 billion in additional EU fees. Back in Westminster, MPs from all sides of the Brexit debate reacted angrily to May’s announcement. “It’s time to stand aside and let someone who can negotiate get on with it and deliver. I fully support David Davis as an interim leader. I’ve done my bit. It’s time for my colleagues to do theirs,” she tweeted. Nick Boles MP went further, telling the BBC that May’s handling of negotiations is driving MPs who once supported her “to despair” and “losing the confidence of colleagues of all shades of opinion” on Brexit. “A further idea which has emerged – and it is only an idea at this stage – is to create an option to extend the implementation period for a matter of months and it would only be a matter of months,” the email read. One pro-EU MP who sits among the Conservative “rebels” told BI they support the idea in principle. “I’m happy with it if it facilitates a deal and solution to the backstop. If not, what’s the point?” they said. Perhaps crucially for May, a member of the pro-Brexit European Research Group said they wanted to give her time to navigate through “this delicate stage of negotiations” before jumping to conclusions. “I want to see what the outcome is and the detail,” they told BI. 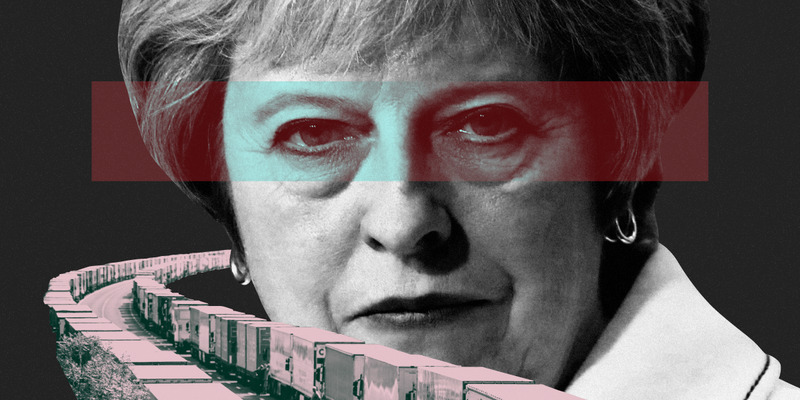 May’s suggestion that she’d be willing to extend the Brexit transition period by up to one year has predictably led to outrage among Conservative MPs and cries of “I told you so” from the opposition. However, in reality, the prime minister had little choice but to ask for an extension. The two year transition period was never going to be long enough to conclude negotiations over a free trade deal with the EU. Such huge international negotiations can take the best part of a decade to conclude – Canada’s free trade deal with the EU took eight years to finalise – and are not usually conducted in anything like the urgent circumstances the UK faces. Failure to successfully conclude such a negotiation within two years would leave Britain in a cliff-edge scenario both economically and politically, with a the prospect of a hard border in Northern Ireland and the break-up of the UK a real and present threat. May’s proposal to extend this period is therefore entirely sensible, even if the realisation that such an extension is needed has come very late in the process. However, an extension does not in and of itself solve May’s problem, which is that she has yet to fully decide, let alone agree, what sort of relationship she wants to secure during that additional transition period. Her so-called Chequers plan has already been rejected both by the EU and her own party and the prime minister has not even begun the process of spelling out which of the alternative available options she is willing to accept. Furthermore, the EU side believes the only way to preserve the frictionless Irish border is for Northern Ireland to remain closely wedded to the EU on a permanent basis. Northern Ireland can either do this alone or with the rest of the UK. Neither would be supported by the House of Commons. From the start of this process the EU has made it clear that Britain can either have a close Norway-style relationship with the EU, or a much more distant Canada-style agreement. The first option would be by far the least economically damaging but would come at the political cost of accepting EU rules permanently, while having little say over what those rules are. The second option would produce a big economic hit to, but would allow Britain the kind of “clean” break from the EU that many in her party are demanding. Neither option is a good one for May, but she has to make that fundamental choice. Until she does so, no amount of extra transition time will do anything but delay the reckoning she faces.